The University of Kentucky Jewish Studies Program is pleased to announce that it is accepting applications for the annual Jewish Studies Undergraduate Research Awards. This award aims to foster undergraduate research and to prepare students for further study in the area of Jewish Studies. In special circumstances, the committee may consider graduate proposals for receipt of the award; speak with Dr. Fernheimer if you are a graduate student and wish to apply. Typically, recipients will register for an independent study (HJS 495) with a faculty advisor and conduct their research under the guidance of that advisor. The research award will provide between $500-$1000 of funding. Usually students will receive 50% of the stipend at the beginning of the semester and 50% when they complete the independent study course, though in special circumstances they may receive the entirety of the funds upfront. Recipients will work closely with a faculty member on a research topic of their choice, present their findings in a public lecture, and submit a report to the Jewish Studies faculty. 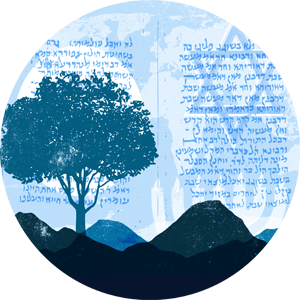 Student projects can address any aspect of Jewish Studies including but not limited to history, language, literature, rhetoric, religion, or culture. Past recipients have used funds to travel to the United States Holocaust Memorial Museum to conduct archival research, to record and index original oral histories with Jewish Kentuckians, to partcipate in immersive Hebrew study, and to participate in other types of educational experiences that take them out of KY (Yiddish Farm, in some cases, education abroad). a letter of recommendation from the prospective advisor.